Posted By:Unknown | At:4:57 PM Be the first to comment! Martin also made a comment about a New England Patroit who was dressed in head to toe pink. 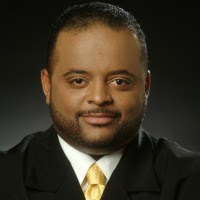 Gay rights groups such as GLAAD accused him of condoning anti-gay violence, and pointed to essays that he had previously written on his site, rolandmartin.com. So what do you think? Was the punishment just?